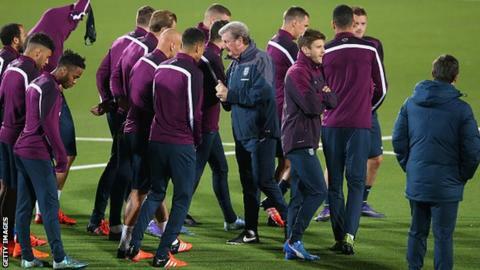 England boss Roy Hodgson will meet up with his players at St George's Park on 11 February. A planned get-together just over a year ago was scrapped after a suitable date could not be agreed with clubs. England last played in November and have no more matches until March. A Football Association statement said it would also offer a chance to "fully debrief last November's fixtures and look ahead to March's games with Germany and the Netherlands". England face world champions Germany in Berlin on 26 March before hosting the Netherlands at Wembley three days later. They are also set to face Australia in another warm-up match before this summer's European Championship, which begins in France on 10 June. The meeting will involve "a group of players who have featured for the Three Lions over the last 12 months", according to the FA. Hodgson said: "It's very good that I will get to see the players between the matches we played in November and the matches we'll play in March as it's an awful long time not to see the players." Should England get a new anthem?